Make your family part of the TPT family! The TPT Family Membership is a one-stop benefits package for the active Minnesota family. 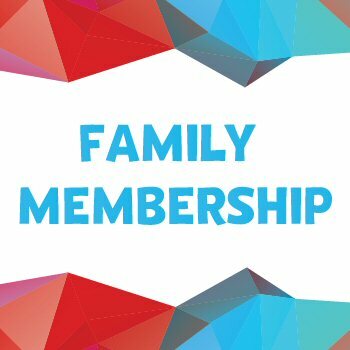 For just $10 per month, your family can play a big part in supporting the shows, games & apps your child loves, and receive more than $300 worth of passes, discounts, and coupons to places your family will enjoy! As a TPT member, you’ll have access to all the discounts available on our member rewards card, deals and discounts to family-friendly TPT events, a subscription to our monthly TPT magazine, and our monthly TPT Play Date enewsletter. Plus, you’ll enjoy freebies and discounts to local family-friendly entertainment, restaurants, and retailers, like Minnesota Children’s Museum, Stages Theatre Company, Sea Life Minnesota Aquarium, and more. 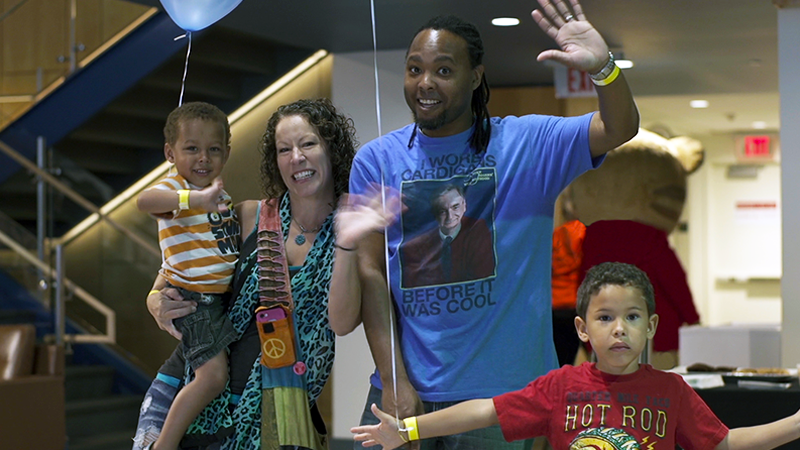 Become a TPT Family Member now and get invited to special events like Family Film Day! Did you know PBS Kids is curriculum-based programming? 89% of Americans agree PBS helps prepare children for success in school and in life. TPT Family Members take advantage of unique opportunities to meet PBS Kids characters and connect with the Twin Cities community. TPT Family members receive one free paid admission to all TPT Family Fun events and will be invited to bring the entire family to several exclusive Family Membership events. Receive more than $300 worth of passes, discounts, and coupons to places your family will enjoy! Twin City Model Railroad Museum – One free child pass, 5 yrs. and up (children under 5 are free). Mill City Museum – One youth pass (6-17) with a paid adult. The Works – One free child pass, (children under 2 are free). Sea Life Minnesota Aquarium – One free regular child admission with purchase of regular priced adult admission. See all TPT Family Member discounts here. Stay in the know with the Play Date email newsletter. Every month, you’ll get the inside scoop on TPT Family Member benefits, discover fun reasons to get out of the house, and stay updated on family-friendly events, the latest apps, engaging online games, and parent resources. What’s not to love?! As a TPT Family Member, you will be automatically subscribed to the Playdate email newsletter. You can unsubscribe at anytime. Visit our Family Zone and see a list of all the benefits, and find out what other TPT Family Members are up to. Make your family part of the TPT family! Your $10 per month Sustaining gift will make you a TPT Family member. Benefits of this membership are valued at over $300! Additional event wristbands for your family at the tpt Family Member discount price! Twin City Model Railroad Museum - One free child pass, 5 yrs. and up (children under 5 are free). Explore a 3,000-square foot 'O-scale' operational model railroad dedicated to depicting the history of railways through scale model railroad layouts. Mill City Museum - One youth pass (6-17) with a paid adult. The Works - One free child pass, (children under 2 are free). A non-profit, "hands-on, minds-on" discovery center that makes learning about science and engineering interesting, understandable and fun. The Works offers interactive exhibits and a hands-on Design Lab. Sea Life Minnesota Aquarium - One free admission to the Largest Underground Aquarium in the world! Providing close encounters with sharks, stingrays, seahorses and many other creatures. With an amazing 300-foot ocean tunnel, 30 display tanks and more than 10,000 sea creatures, the aquarium is the perfect stop for family fun! You have chosen to cancel your PayPal transaction. You may try again or choose a different form of payment. There was a problem processing your PayPal transaction. Please try again or use a credit card instead. I agree to the Sustainer Terms of Agreement. My authorization to withdraw my monthly gift from the account indicated shall remain in effect until I notify tpt that I wish to change it or end it, and tpt has ample time to act on my wishes. I understand if I choose EFT, my contribution will be processed on or around this date of each month. A record of each payment will appear on my monthly credit card or bank statement and will serve as my receipt. You must agree to these terms of agreement to continue. I authorize tpt to withdraw the one-time amount I have specified from my bank account. Yes, I would like to receive email updates from tpt about special programs, schedules, online features and more. Your pledge total must be at least $. Thank you for your donation of $/month to tpt! Wow, just like that you've just helped strengthen our community through the power of media! Thank you for choosing to support tpt as a Sustaining Member. Be sure to look for your TPT Member Rewards Card in the mail after you’ve joined or renewed your membership — it’s your key to unlocking all of these benefits. Also, watch your email inbox for special event invitations. Your donation of qualifies you for a Studio Society membership, which includes extra benefits. Learn more about tpt's Studio Society, here. Your donation of qualifies you for a President's Society membership, which includes extra benefits. Learn more about tpt's President's Society, here. This is to confirm that as a Sustaining member you agree to have Twin Cities PBS withdraw $/month from the checking account you provided us. The first withdrawal will be on the next business day and future withdrawals will happen monthly on the same date . If at any time you wish to change the amount or end this agreement please contact the tpt member hotline at 651.229.1511 Monday thru Friday from 9 am to 5 pm. This confirms that tpt will be charging $/month to your . The first withdrawal will be taken out on our next business day, with subsequent charges occurring approximately every 30 days. If at any time you wish to make a change in the amount or cancel the withdrawal please contact our Member hotline at 651.229.1300. Please allow 2 to 4 weeks for your gift(s) to arrive. Did you know that your company might match your contribution to TPT? Check here to see if your employer participates. Your donation qualifies you for TPT Passport! TPT Passport gives you exclusive access to watch even more episodes of your favorite shows online. Thank you for your donation to tpt! You've earned some bragging rights. Tell your friends that you support public television to help enrich your community!